City or Suburbs: Where Should You Live Near MacDill AFB, Florida? Moving to an unfamiliar place is never easy. Finding the right home in said unfamiliar place is even more difficult. When you're searching for a home in your new city, you have many things to consider. How close or far from base do you want to be? Do you want to stay well within your housing allowance or is it okay to expand the budget a bit? Do you want to live in a busy area or a quieter suburb? We know these questions well because we are forced to ask and answer them over and over again. Sometimes you have the pleasure of knowing the area before moving there. Perhaps you were stationed there previously. In most cases, however, you are moving blindly to your new home. If you're due to PCS to MacDill AFB near Tampa, Florida, here are a few considerations. Tampa is a bright city located on the Gulf Coast of the Sunshine State. In addition to a beach life of boating, fishing, and swimming, there are a great deal of things to do on land. Supporting the local MLB team, the Tampa Bay Rays, or the local NFL team, the Tampa Bay Buccaneers, are just a couple attractions. If you want to explore more of Tampa, plan a day to visit Busch Gardens, Lowry Park Zoo, or the Florida Aquarium! Tampa also has a great deal of culture to experience. The sheer amount of Cuban eateries in the area will likely enlighten your palate. One friend notes, "You simply cannot live in Tampa without eating a Cuban sandwich!" You should also enjoy the Old World charm and activities that historic Ybor City has to offer. Something far more unique to Tampa is the annual Gasparilla Pirate Fest. This event brings hundreds of ships through Tampa Bay to downtown as people come to enjoy a day themed around the invasion of legendary pirate Jose Gaspar. The event is family friendly and a can't miss! Aside from all of the above, it's worth noting that Tampa is only a mere hour and a half from Orlando and Disney World! Tampa’s greatest military presence is MacDill Air Force Base located in South Tampa. MacDill is home to the 6th Air Mobility Wing and includes the 6th Operations Group, the 6th Maintenance Group, the 6th Mission Support Group, and the 6th Medical Group. In addition to the 6th Air Mobility Wing, MacDill is also home to 28 mission partners, including U.S. Central Command and U.S. Special Operations Command. According to the MacDill AFB site, "The presence of these two unified commands and other mission partners creates a unique multi-service community at MacDill, with all branches of the armed forces represented.” For this reason, the MacDill community is referred to as Team MacDill. 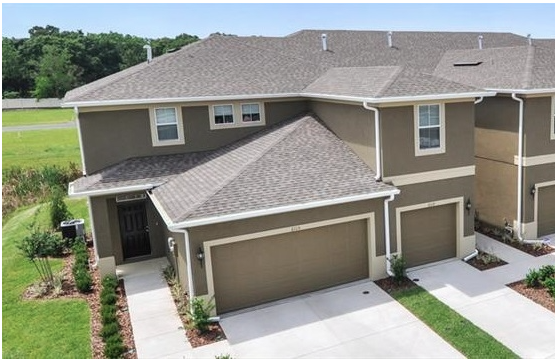 Military families stationed at MacDill AFB have many options for housing. Whether you choose to live in the city itself or further out, here are a few examples from the area. 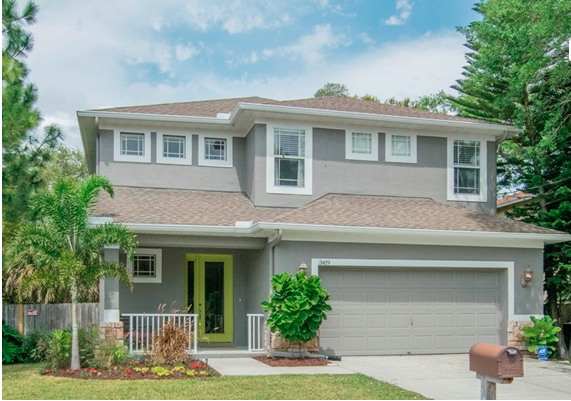 This is the closest location to MacDill to look for homes. It is a beautiful area of houses, apartments, and condos. It can get a bit pricey if you look on Bayshore Boulevard. If you're looking for a home close to base so your spouse can spend more time at home than in the car, this is a good location for you to start your home search. The listing notes: "This bright and airy 4/2.5/2 has been beautifully upgraded and meticulously maintained. The open floor plan is perfect for today’s lifestyle. The kitchen features a roomy eat-in area, 42” cabinets with crown detail, granite counters, an island, and stainless steel appliances. The kitchen is open to the great room, which provides access to a large, fenced backyard. The entire interior of the house has been repainted with neutral colors. Hardwood floors downstairs and high quality wood laminate upstairs." If you want to make best use of your location on the Gulf, you might want to consider a home on the St. Petersburg peninsula. Though located across the water from MacDill, there is a bridge directly linking the two, making for an easy drive. The owner says this "three bedroom, two bath single family home has been remodeled throughout. New cabinets, countertops, and stainless appliances round out the new kitchen. New flooring, double pane insulated windows, new interior doors and new insulated roof all help to reduce utility costs." Perhaps you're looking for a nice, more affordable suburb outside Tampa. 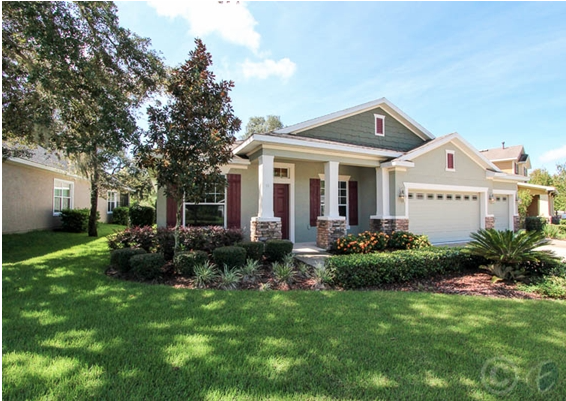 Look into homes near Brandon! Though the military member may have a bit of a commute, you may find Brandon’s quiet atmosphere perfect for your family. 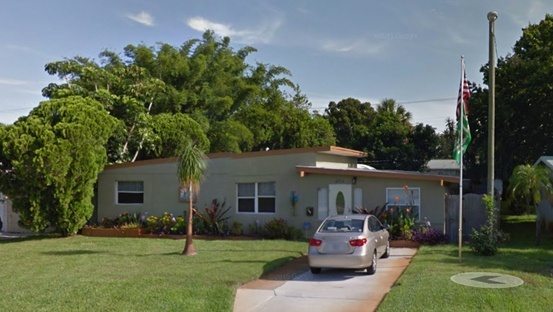 Near the highway with access to MacDill AFB, this home features "3 nice size bedrooms, 2.5 baths, a 1 car garage, inside laundry, ceramic tile, and wood floors throughout the first floor living area and carpet upstairs. It includes an open kitchen with breakfast bar, marble countertops, stainless steel appliances, plus a large master suite with dual sinks, and glass enclosed shower. Outside, you will find a covered patio and manicured lawn with lush landscaping. Broadway Centre offers residents access to a community pool and rent includes lawn care and regular pest control." Additionally, if you do not fear a longer commute and have learned to embrace the distance between home and work, Lithia could be a good choice for you. The rental market here is big right now with many homes to choose from. Located on a pond-view lot in FishHawk Ranch's Starling neighborhood, it's a short walk from FishHawk's Tennis Club. With tile flooring reaching from the front to back and neutral carpet in the bedrooms, this house has three bedrooms along with three separate living areas, and includes lawn maintenance with plant and turf pest control. Whether you choose to live in Tampa or St. Petersburg or a bit further out, here's wishing your Florida PCS is your best yet!